Devin’s Windscreens (Caboolture/Morayfield/North Brisbane) is a windscreen replacement and repair business. Devin’s offers mobile automotive glass repairs and replacements throughout Brisbane and the Sunshine Coast and had conveniently located workshop in Wamuran as well as our mobile windscreen repair and replacement service. 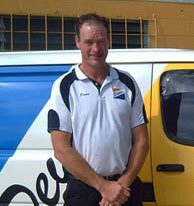 Devins Windscreen Brisbane north, is noted for their professionalism and reliability. Devins Windscreens was established in 2004 and have since built a strong reputation in the region. Over 75% of all windscreens that are replaced started as stone damage? Give Devin a call or complete the online form HERE to order your FREE Devin’s Chip Saver Patches. In the event your windscreen gets a stone chip use your Devin’s Chip Saver Patch to keep the chip free from bugs and debris until we fix your windscreen. We offer FREE Regular Windscreen Inspections? We also offer FREE regular windscreen insepections. This great service is also extended to Business Fleets, which is why Devin‘s Windscreens is the preferred dealer for many Brisbane Businesses. Call us now and we will arrange a time with your Vehicle Service Manager to visit your depot or company car park to inspect your Fleets Windscreens for structural damage. 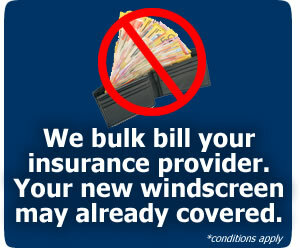 Devin’s Windscreens offer a Guarantee on all services they perform? We are so confident in our professional team of Windscreen Technicians that if any Windscreen, side or rear window that we have fitted leaks or fails for any reason (other than those beyond our control) we will rectify the problem FREE OF CHARGE.